When you look at all the (broken) parts within innovation it takes some time to figure out how you can piece it all together to make it a better whole. Innovation and its management is just this place this needs to be pieced together. It often cries out for it. 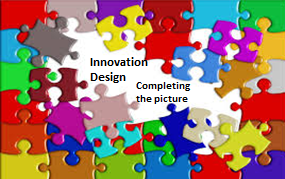 Most people that work in our business organizations are spending their increasing time in piecing their part of the innovation equation together to make innovation work and trying to improve on the existing conditions to deliver new products and services. They have to work on fixing the system and its many faulty parts, let lone work on their new concept. Is it not about time we stepped back and really thought through the design of innovation and its managing? Why is this so hard to do? Your dominating innovation design is? Each organization seems to favour one design approach over another when it comes to how they innovate. It favours either the more comfortable repeatable zones or is determined to push the boundaries out on its innovation activities. We often talk about simply incremental and radical, yet we do have other choices such as a more ‘distinctive’ design or one that sets out to be ‘disruptive’. Let me offer this for thinking through on your fits on the innovation path you want to take and ‘flag’ some areas you need to consider. Each degree of innovation (or type) has considerable organization design issues to think through. Degree is the scale to increase the intensity of innovation- incrementally, distinctively, radically or disruptively. Each of these ‘degree’s’ have implications and aspects for the organization to consider. Type provides the environment you are operating within. Incremental innovation is fairly predictable, it is the ‘easier’ option, and it tends to be a fairly static place to be, everything is fairly predictable; you keep refining the practice of innovation. For distinctive you are extending your innovating into good practice, you are looking to push design, to offer something beyond the existing extension. I feel design innovation fits really well within this type. 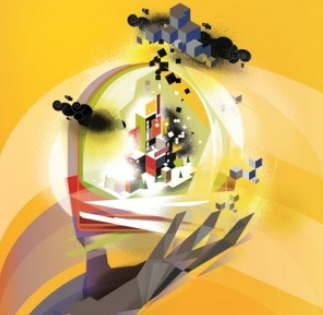 Radical is more about learning, being alert, agile and experimental, preparing to take some risks but pushing beyond the existing boundaries, into emergent practice. Lastly disruptive, a high risk approach where it is very much leading edge, self generated, self- inflicted but offering potentially high reward that changes existing dynamics and is often novel and experimental in how you handle this in practices. Approach is the way you set about innovation. Incremental for the vast majority is often through a very ad hoc innovation process and not systematic in their approach in linking strategic with their innovations. Although you could argue and argue well, that the vast majority of consumer goods companies have a very highly systematic process to churn out incremental products constantly but I don’t think this type of incremental innovation gives ‘huge’ additional growth value, it tends to maintain the ‘steady’ state. I think the more it is systematic the more the innovation moves from a ‘incremental’ to ‘distinctive’ as it is the richness of combinations that separate the product or service. For instance you redesign the container, you add different ingredients that are healthier, you reposition your product in brand message, you offer a more emotive attachment- this becomes more distinctive, more enduring than incremental. Radical or disruptive is far more fluid, adaptive and constantly searching out, less reliant on a given process, more on the nature of the proposition to drive it through to translation, not on a given process or accepted methodology. Fit deals with the space you chose to operate within. The more you chase up the degree of innovation the more you need to challenge your organizations structure, response mechanism and adaptation. Without going into the Cynefin framework explained here http://youtu.be/N7oz366X0-8 it has considerable value as it offers a ‘sense making model to think through’ for you to reflect on the type of innovation and its difficulties. Innovation is certainly complex and the Cynefin framework offers an excellent complexity model for being made more aware. It helps you to think differently and apply the necessary changed mindsets needed for these four innovation types. Conditions are more to do with how you work. These are too a large degree the ability within the organization to adapt and how you learn. If you don’t communicate well, you don’t seek to learn from mistakes or each other the learning loops never actually happen. You need to find ways to question and re-question if you want to push the boundaries. Where do you see your organization? 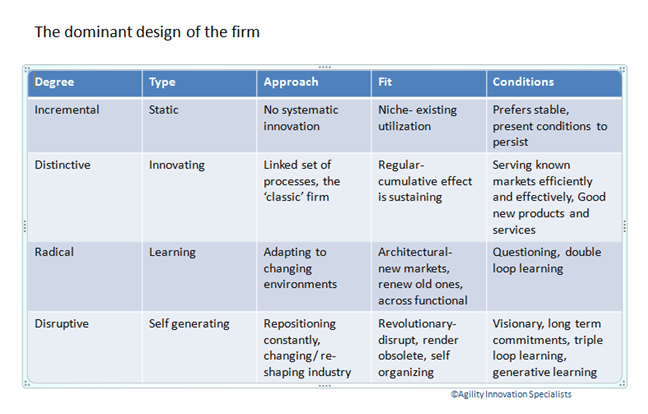 So these are my dominant design structures for firms when it comes to innovation. Can they operate across all four simultaneously – highly doubtful -especially if you have a culture, industry and leadership that stays within the incremental space or a given comfort zone. It is really hard to unlearn this repeating pattern of innovation and attempt to move into the different degree’s of radical or disruptive particularly, yet I hear so many talking about this, as a need to do but can they? The implications of the degree of innovation does have significant implications and organization design challenges, so be warned.